A joint-venture between Distribution Realty Group and EverWest Real Estate Investors announced its plans to develop an approximately 190,000 square foot speculative industrial building at 220 York Road in Bensenville, Illinois. Located in DuPage County, the building will feature modern Class A characteristics including 32′ clear ceiling heights, LED lighting with motion sensors, attractive storefront glass, up to 37 dock doors, and ample auto parking. The building is designed to appeal to high end warehouse and logistics companies seeking top-tier space in O’Hare. The venture has hired Sam Durkin and Dominic Carbonari of JLL to market the property for lease on its behalf. Arco Murray will construct the building on behalf of the partnership. Distribution Realty Group LLC is a privately owned industrial real estate firm with offices in Chicago and Nashville. The firm has acquired and developed over 3 million square feet of industrial and distribution facilities since its founding in 2013. For more information, please visit www.distributionrealty.com. EverWest Real Estate Investors is a real estate investor and operator located in Denver, Colorado. The company was acquired by Great-West Life’s real estate advisory platform in February 2018 to help expand their international presence. For more information, please visit www.everwest.com. 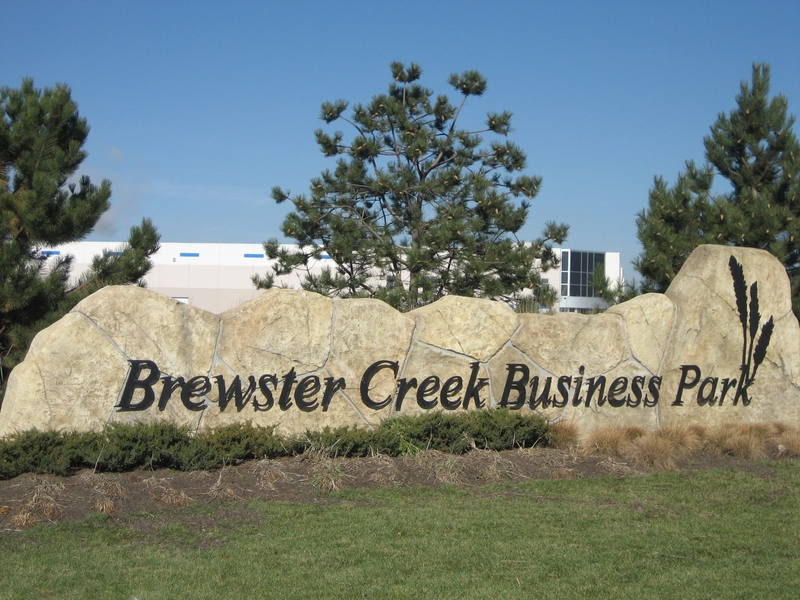 Located in the DuPage County portion of the Village of Bartlett, Brewster Creek Business Park is a former gravel quarry turned growing business park developed through a partnership between the Village of Bartlett and Elmhurst-Chicago Stone Company. Currently home to 90 businesses many of which reside within industrial condominium units in addition to the free-standing buildings, Brewster Creek will have 40 buildings totaling four million square feet with the recent completion of two more in recent months. Industrial real estate developers Exeter Property Group, Ridge Development and G4 Development have recently completed speculative buildings, and Village economic development staff is partnering with the brokers in an effort to attract more quality tenants to Brewster Creek. Food giant Greco & Sons was the first major food distributor to locate in Brewster Creek Business Park, followed by Get Fresh Produce, Rana Meal Solutions, Cheese Merchants of America and candy packager creative werks in the following years. Thermo Fisher Scientific tests food safety in their Brewster Creek location. Each of these companies found Brewster Creek’s available reasonably priced land, DuPage County taxes, access to a strong workforce and proximity to State highways ideal for their Chicago area location. Together, these businesses employ well over 1,000 and provide high-quality food products to many restaurants, grocery stores and other clients throughout the Midwest and the country. Bartlett’s pro-business attitude has also attracted several high-precision German-based advanced manufacturers including Herrmann Ultrasonics, Wittenstein, Bremskerl and BBS Automation in recent years. With a newly formed relationship with the German-American Chamber of Commerce, Bartlett has welcomed these companies with open arms in a continuing effort to strengthen the Village’s tax base and increase foreign direct investment in DuPage County. Midwest Molding, Bremskerl, Winhere Brake Parts and Auto Truck are four Brewster Creek businesses in the auto supply chain. With Winhere Brake Parts relocating to Bartlett in early 2017, these companies have found their Bartlett location ideal to attract and retain a high quality workforce thanks to local workforce development programs. Another competitive advantage of Brewster Creek is that innovative businesses have found the Bartlett area’s talented workforce to possess the training, education and skills to help their companies grow and prosper. The Village has partnered with local workforce development organizations including the Chicago Cook Workforce Partnership, Elgin Community College’s Workforce Development program and the recently-launched Workforce Development Center in neighboring Hanover Park. Village Staff assists companies with meeting with one or more workforce development partners to help facilitate the recruiting and hiring of the workers whether entry-level, technically skilled or management professionals. You can board your dog, bring your pet to the veterinarian, learn self-defense and improve your fitness in Brewster Creek Business Park. Although most of the 90 businesses in Brewster Creek Business Park are wholesalers, contractor offices, manufacturers and other B-to-B businesses, Bark Avenue Daycamp, Bartlett Animal Hospital, Xtreme Training Academy and Frontier Fitness are open to the public in Bartlett’s premier business park. The list of businesses located in Brewster Creek continues to grow year after year, and should continue to expand in 2017 and beyond as the Chicago area industrial market continues growing. From a logistics and distribution standpoint, Brewster Creek is ideally positioned for growing companies to serve their customers more efficiently while enjoying an attractive and safe setting for their employees, customers and vendors. Click here for the 2017 list. Contact Tony Fradin at (630) 837-0800 or tfradin@vbartlett.org to discuss how your client or your own business can become part of this strong and diverse business park or for a personal tour of Brewster Creek Business Park. The mixed-use development includes 202 1- and 2-bedroom apartments in five stories on Burlington Avenue and three stories along Main Street, with indoor parking for residents and tenants, as well as 35 new on-street parking spaces. Some 15,000 square-feet of new commercial space will add restaurant and retail uses that will strengthen the commercial district, build foot traffic and enhance the downtown as an attractive dining destination. The development will feature a new public plaza offering outdoor dining at Main and Burlington, as well an additional public plaza at Spencer and Burlington, and two rooftop courtyards providing along Burlington Avenue. An upscale restaurant and craft beer tap room is planned. Amenities residents can enjoy include a resort-style pool with cabanas and sun deck, as well as a pergola lounge, fire table and grilling stations. Indoors, residents will have access to a tech lounge and a chill lounge with coffee available 24-hours. An onsite health club is also planned. 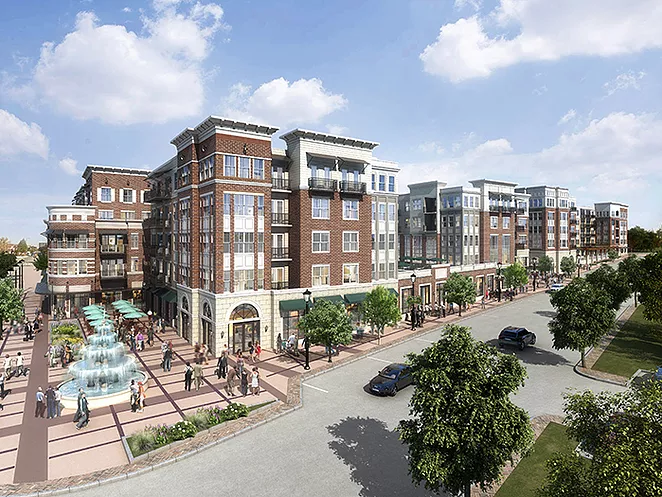 The development brings an investment of $45M to downtown Lisle, and is now leasing for an expected Fall 2017 opening. The building at 2100 Swift will have a new look, and many significant changes, including a set of windows that will allow natural light to flood the space. When you think of luxury rental developments, what do you picture? Modern apartment towers rising from the busy downtowns of major cities, right? That doesn’t have to be the case. The suburbs might not get as much press when it comes to new multifamily projects, but plenty of developers are bringing high-end rental units to suburban communities across the Midwest. 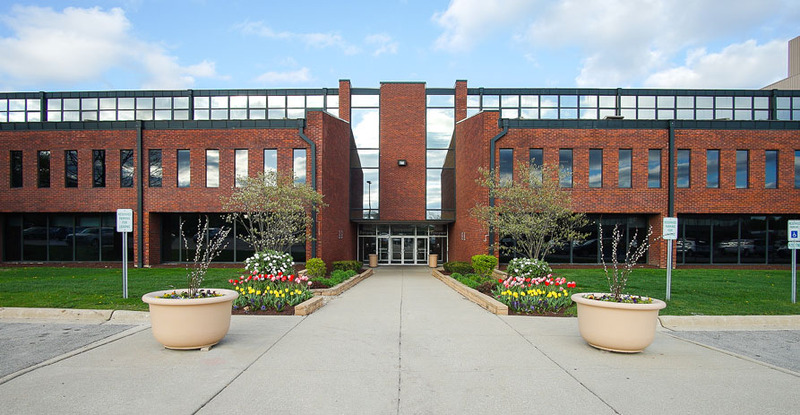 300,000 – 595,000 square feet is available for sale or lease at 2701 Navistar Drive in Lisle.